I am not in the habit of reviewing books by friends or people who have edited my work and supported it financially. 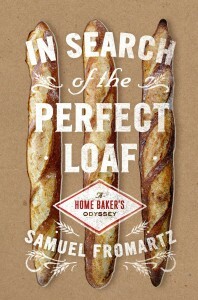 Sam Fromartz, the author of In Search of the Perfect Loaf: A Home Baker’s Odyssey, fits into all three categories. 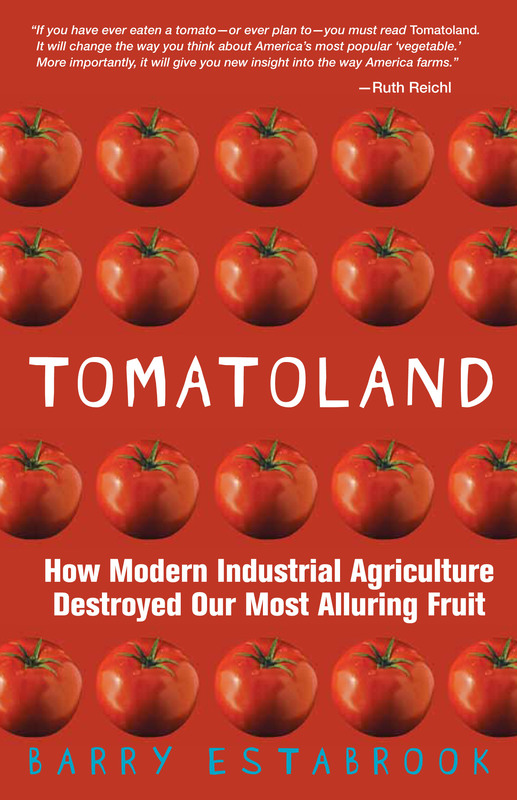 But I found this book so informative and worthwhile that I would be remiss if I failed to bring it to the attention of anyone who bakes bread—or who wants to understand the art, craft, and science that come together to create this historic staple. I envy Fromartz. He is a bread geek extraordinaire. He bakes beautiful sourdough loaves for his family (neighbor kids rush over to beg for slices when that telltale aroma wafts from his kitchen window). He once entered a baguette contest against the best bakers in Washington, D. C. (his home) and won. When Alice Waters of Chez Panisse—no slouch when it comes to appreciating great bread—held a benefit in Washington, she requested that Fromartz provide the bread. 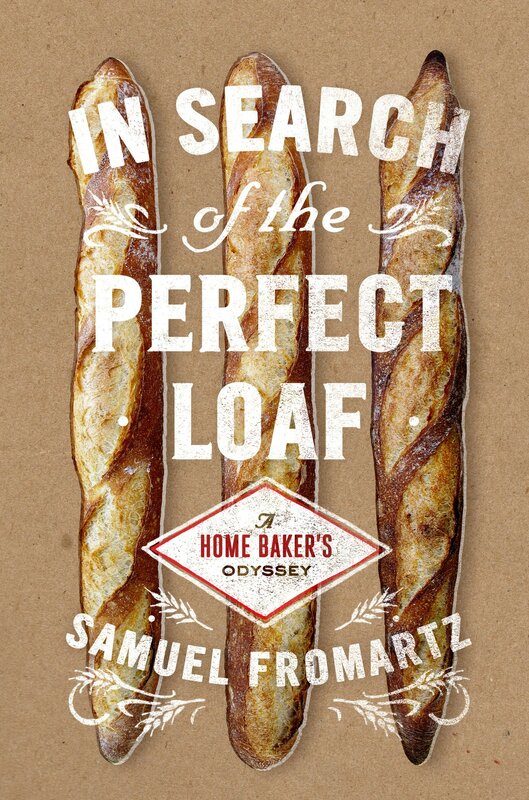 In Search of the Perfect Loaf is a seamless blend of memoir and how-to. Serious bread bakers will want this book for the how-to information it contains. For four years Fromartz traveled to bakeries from Berlin, to Paris, to New York, and California and worked elbow to elbow with the world’s finest bread bakers, and makes readers feel like they, too, are participating. His journey makes for a fascinating story in its own right, populated with vividly drawn characters, every one a dedicated fanatic. Unlike Fromartz, I am a bread geek manqué. I like to think of myself as the type of guy who wakes up at dawn, gets his hands all flour-y, and turns out perfect loaf after perfect loaf from a starter that came down to me from a genuine Forty-Niner. Alas, my one and only attempt at sourdough bread produced a product that was the size, weight, and texture of a paving stone. I have neither the patience nor the powers of observation to make anything that requires more than a packet of store-bought yeast and a couple of hours rising time on the kitchen counter. Besides, my neighbor down the road bakes splendid bread in his wood-fired oven and sells it at our weekly farmers’ market for less than four bucks a loaf. Why bother? But thanks to Fromartz, I feel for the first time that I know what bread really is. I understand the mysterious lives of the yeasts that make a miracle out of flour and water. I understand how wheat becomes flour, and know about the other grains that go into breads. And most important, I see the care and craft that go into making “real” bread. Even though he includes detailed, step-by-step recipes complete with timelines (“Morning, First Day; Evening, First Day, Second Day”) for nine different breads, it is evident that Fromartz feels that the most detailed instructions are far less useful to the novice bread baker than trial and many, many errors. But as this book makes clear, those errors are perhaps the most important ingredient in mastering the art of making a perfect loaf. Click here if you are interested in ordering In Search of the Perfect Loaf through Amazon. 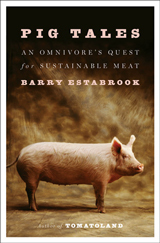 Disclosure: This blog receives a commission from any books sold through this site.